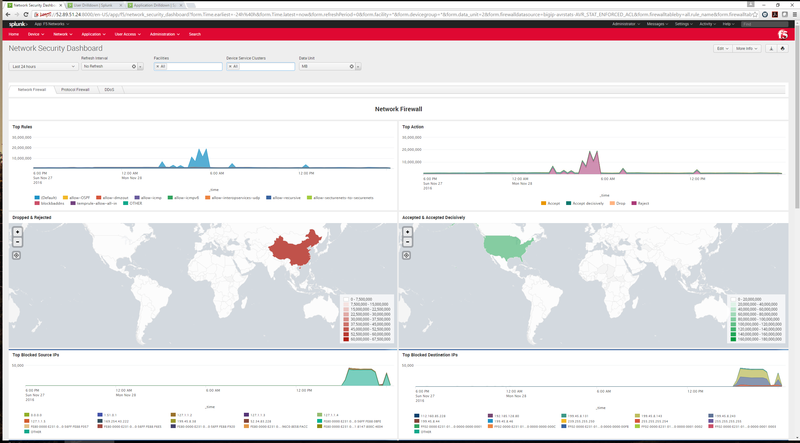 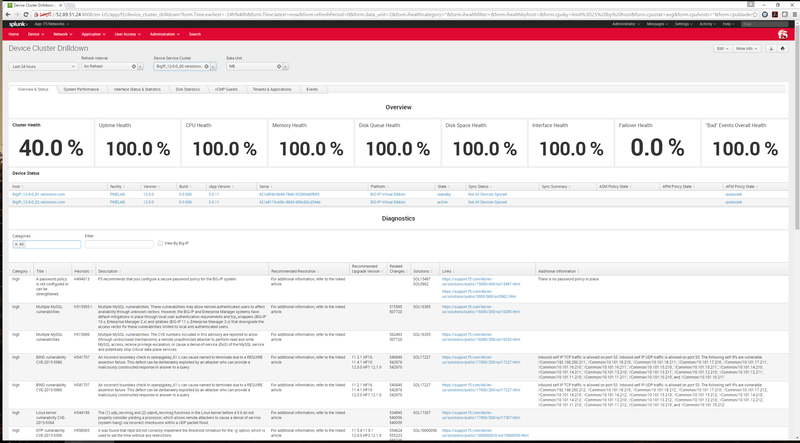 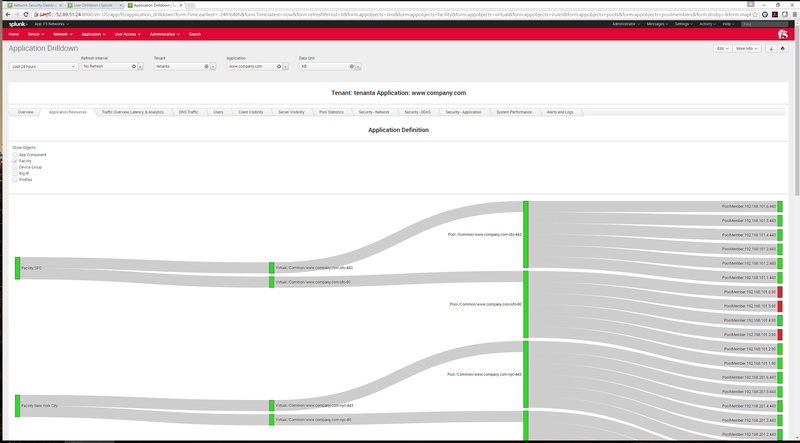 The F5 Networks - Analytics app is designed to deploy with the F5 Analytics iApp: https://support.f5.com/csp/article/K07859431 and provide full visibility for LTM, GTM, AFM, ASM, APM, SWG, and iHealth. 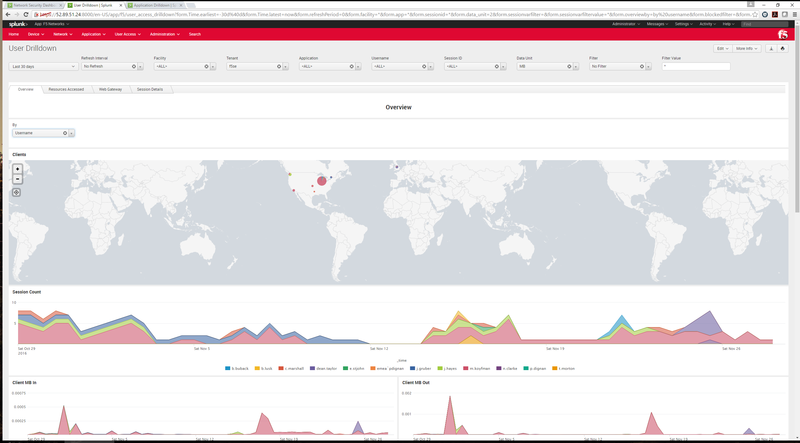 v0.9.10 - Added recently down pool and virtual server list on the home page and application overview page, Added offline devices list on the home page, Exposed all Analytics sources under Traffic Overview, Latency & Analytics (additional work will be done on the next release), Cosmetic Updates. 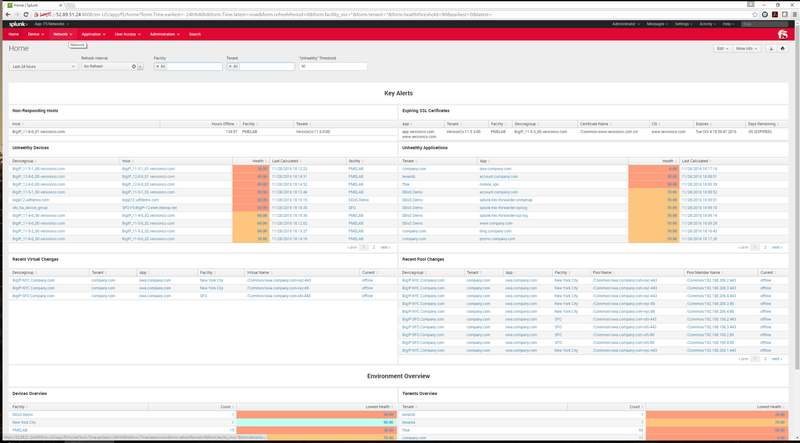 v0.9.7 - Updated SSL Intercept Dashboards, now SSL Orchestrator.